The tool GocadSGridReader reads a Gocad stratigraphic grid (file ending sg) and writes the data in the open vtk unstructured grid file format (file ending vtu). The tool doesn’t change the geometry, i.e., it doesn’t change the element quality. Thus, the mesh may not be usable for finite mesh element simulations immediately. The tool is part of the official OpenGeoSys git repository and is build when the OGS_BUILD_UTILS cmake switch is set ON. The build executable GocadSGridReader is placed in the bin directory. The tool is a command line tool. Running GocadSGridReader tool will print the required arguments and a short usage message; for detailed usage add the --help argument. 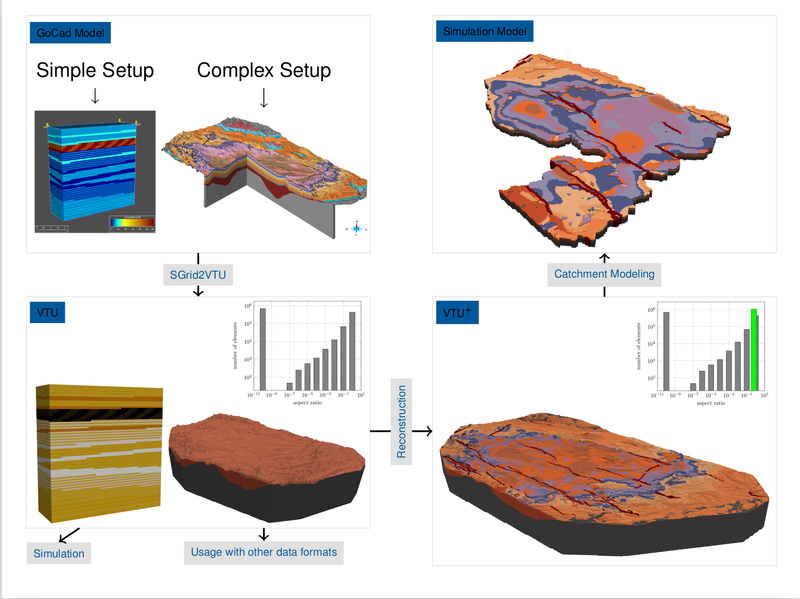 The tool was used to convert Gocad stratigraphic grids (‘GoCad Model’ in figure below) of the Thuringia syncline to a vtk unstructured grid (‘VTU’ in the figure) within the INFLUINS project. 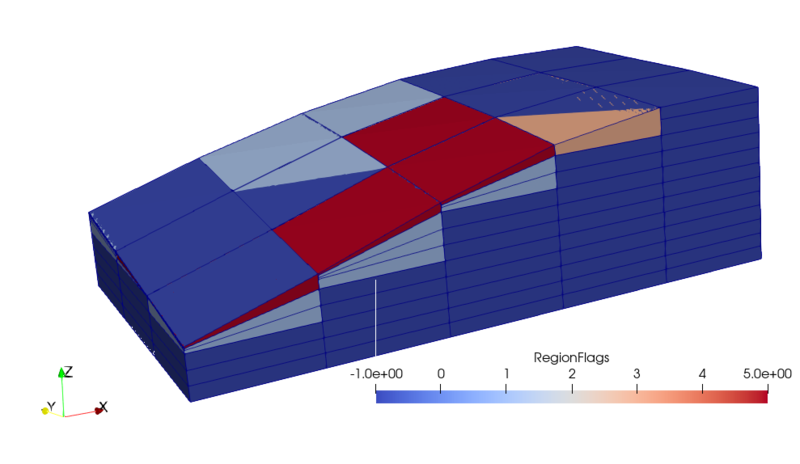 Further conversion steps were taken to prepare the mesh for the simulation (not part of this tool, see Fischer et al. 2015).